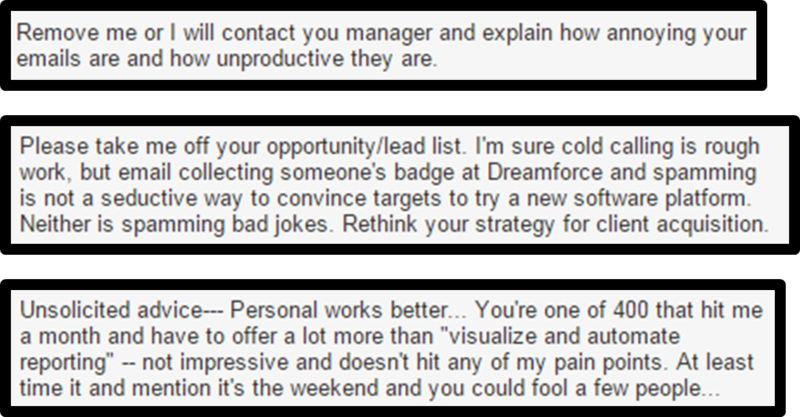 Last year at Grow, we did an email drip initiative that was built on our lead gen efforts at the Dreamforce Conference 2015. The statistical insights we derived from these campaigns were quite interesting and we want to share them. On the surface, these statistics seemed to be fairly average for an email drip effort. But when we dug into the numbers, we found some correlative data that raised eyebrows. We’re here to share our own insights, the hard numbers, and how you can duplicate our efforts. (Tip #2 netted a 513% increase in our response rate, but the other tips also helped us increase both our open and reply rate). When we started on this initiative we had a lot of assumptions. We even had several best practices that we borrowed from other campaigns. However, as a team, we decided early on that we were going to test everything. We A/B tested different parts of our emails and measured open and response rates. We even turned our testing into an in-office betting game. No money was exchanged, but the competition was still fierce as our sales and marketing teams took sides on which email they thought would win. It wasn’t quite fantasy football, but it was just as surprising (and without the concern of being regulated). The main thing we took away from our testing is that intuition is often wrong. There were times when almost everyone expected one outcome, and we were all surprised with the opposite result. We learned that trusting your instincts can cost you money. Because of this, it’s better to test everything and then let the data direct your next marketing moves. There are several email marketing software applications you can choose from. We suggest you decide on what data is important to you first. Once you’ve determined what you need to measure, you can make an informative decision on the software you want. Here is a great list by Zapier showcasing 25 of the top drip email solutions to consider. 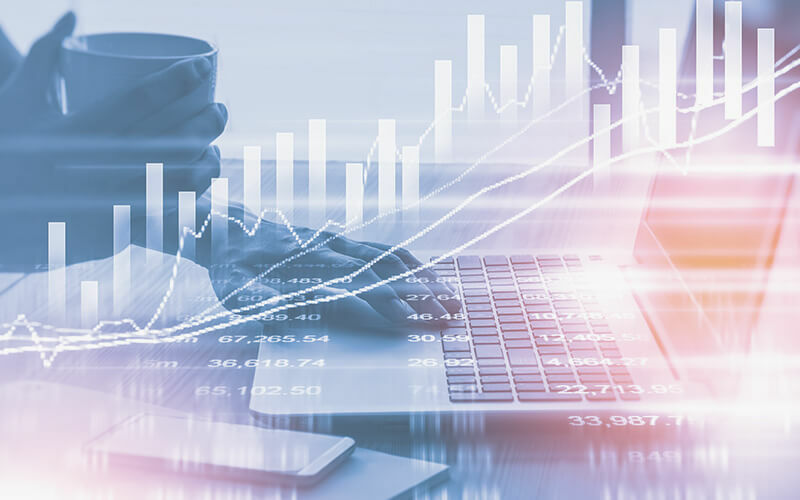 The most significant data increase we saw was with hot leads—those expressing strong interest in our business intelligence software solution. If there was a campaign we wanted active engagement on, it was definitely this one. We created a six-step campaign to target hot leads. The first step was a warm-up email reminding the lead who we were. The second sent a notification to our sales team to call those who hadn’t replied in step one. But it was our third step that had the starkest data. In step three, we sent a follow-up email on all voice messages left by our team and performed an A/B test on our messaging. What we found was that Email B had a 15.3% higher response rate than Email A. This was by far the most significant gap we had seen, and it constituted a 513% increase in responses. While our intent was to test messaging, we ultimately came to the conclusion that it wasn’t the difference in the messaging, but the length that caused the 513% increase in response rate. Why? Without counting personalization elements and the closing signature, Email A had 240 characters and Email B had 359 characters—a difference of 119 characters, or an approximate 50% increase in length. 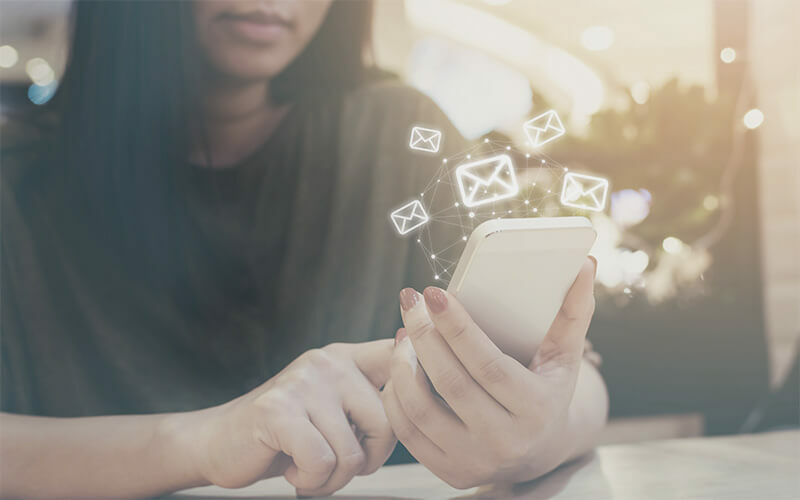 The reason we believe the brevity of Email A caused the 513% response increase is that we tested similar messaging styles in campaigns to other segments without such a dramatic chasm in the results. Besides that, we found over and over again that short messages beat out their longer counterparts (but not all—we’ll cover that in the next tip). We do admit one problem with our final conclusion on this test: When you A/B test, you want to only test one thing at a time. Our test emails had different messaging, which inadvertently made Email A shorter, even though we weren’t deliberately testing for length. If we wanted to be more precise with our testing, we should have made the messages approximately the same length. Obviously, correlation does not imply causation, and we can’t definitively claim a direct connection between length and our 513% reply rate increase—although we believe the evidence is strong. Ultimately, you’ll have to decide (and test!) for yourself on this one. But we firmly believe that if you can say it in two words instead of three, you should, and our email recipients seem to appreciate that efficiency. The personal application here is simple: Keep your emails short and to the point. To help you do this, try using the Hemingway App with the next email template you create. This online app identifies unnecessary or overly-complex words you are using in your email messaging, and even suggests alternatives. It’s a great resource to simplify and improve the readability of your emails. Short and sweet is good, but too short may seriously decrease your response rate. In all our campaigns, we sent a message to ask leads if they were getting our emails. We tried multiple variations of this email, but in one test, we found that being too brief hurt us. As you can see in the above screenshots, Email A, in six words (26 characters), asks our prospect the same thing Email B does in 17 words (roughly 101 characters). However, there was 100% increase in the reply rate to Email B. We have several ideas on why this is the case: First, Email B seems to establish more of an emotional connection than Email A. Pleasantries such as “just confirming” and “are you buried” are ways to connect to the prospect and be sensitive to his or her time. 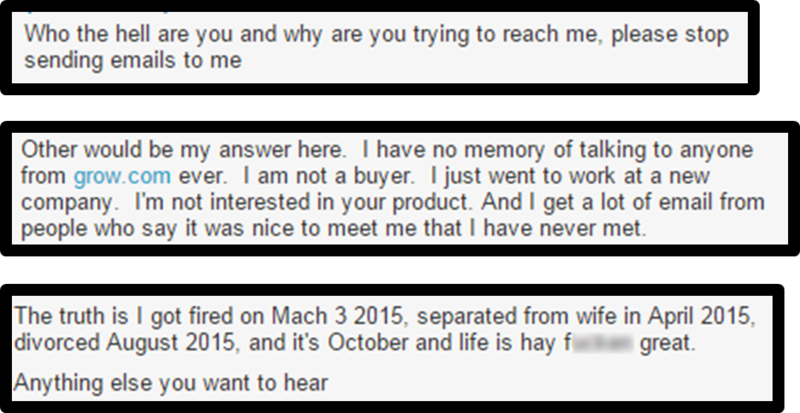 Second, though both emails essentially ask, “Are you ignoring me?”, Email A may have come across agitated. It can be difficult to deliver the right tone in an email (especially without emojis), and being too brief may make you come off curt, annoyed … or worse. Although that certainly wasn’t our intent, this may have been the reason behind the low reply rate for Email A. Use an appropriate amount of words to convey sensitivity and respect. Salutations and closing niceties may seem unnecessary, but you should treat your emails like real-life conversations. How would you like it if someone walked into your house and launched into a speech? Probably not very much. So why would you send emails that way? Choose your words carefully to avoid giving the wrong impression. One of the great Internet marketing bloggers, Jon Morrow, shares how to use power words in your messaging and even gives a list of 317 possible words you can use for your next email campaign. Power words can help ensure the words you use deliver the emotion you want to convey. Any intro to marketing class will teach the power of urgency. If you are able to use it successfully, prospects will be motivated to take action and you will increase conversions. That’s why “limited time offer” and “today only” campaigns pop up in almost every channel and market you can think of. Given that, we weren’t surprised to see more people respond to an email with a seven-day deadline versus a 12-day deadline. What did surprise us was that the response wasn’t actually that much higher. There was only a 2.8% reply rate increase to our Email B encouraging people to take advantage of our promo within seven days over those for whom we extended the offer for an additional five days. Another sales rep, Jason, felt most people wouldn’t respond to an email with such an imminent demand. He proposed the following messaging instead: “Are you available early next week?” Naturally, we decided to test, so everyone placed their bets on which email would be the winner. The office was evenly split. In the end, Team Jason won by a 2% advantage. Our takeaway is that you can’t count on when people are going to read your email, but you can count on them seeing when you sent the email. Some people read emails immediately, others take a little more time between inbox checks—and you need to take that into account. You also don’t want to put too much pressure on your recipients, as that can be off-putting and lead people to ignore your message. It’s important to not come across as an overly pushy salesperson in your email campaigns (sorry Team Taylor). iAcquire wrote a great post on Creating Urgency Without Being A Slimeball. And you should definitely watch this 2-minute Steve Martin video featuring a used car salesman and a lie detector. It’s hilarious, but definitely not the image you want potential customers to have of your brand! This may not seem like a big deal, but one of our segments was a low outlier that targeted people who may have already received our emails (we had an issue with our tracking links getting caught in spam filters—another post for another day). This segment had an especially low open rate of 3.6%, and when we pulled it out of our calculations, the average open rate for our “Are you there?” emails jumped to 9.2%. The lesson we learned with this email template is that asking this simple, direct question often gets results. It may not be the response you are hoping for, but at least you know, and can avoid wasting your time and your prospect’s. Don’t be afraid to ask bold questions. Obviously, learn from Tip #5 and ask politely, but do ask. We borrowed our buried email template from Hubspot and tweaked it to our liking. Hubspot boasts a 90% response rate on that template, and although we never even came close to that, the data should intrigue you enough to test it out on your own. There was a big discussion in our office about whether or not to use humor in our campaigns. We know humor can be powerful, but it’s also challenging to convey your intent accurately. We decided to take a chance and have a humorous email with our worst performing segment—the one with prospects who might have already heard from us. Even though this wasn’t our prime segment, we still held off on the humor until our final email. This was our last-ditch effort. We knew that if the prospect didn’t respond then, they probably never would. Results? Well, the response rate for “Alligators” was 7.2%, and “911?” earned an 8.8%. Both were higher than the 6.4% overall average, but a better question is what sort of responses did we get? Our end assessment of humorous emails was, Why not?Those who understood what we were doing got a chuckle and those who hated it weren’t interested in our product anyway. 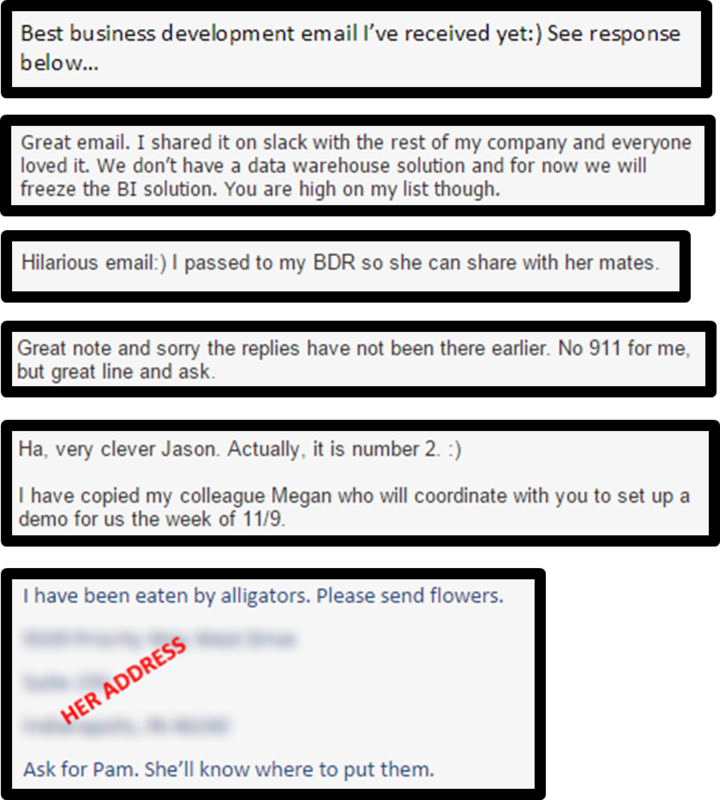 There wasn’t a single reply that stated they were not going to try our BI solution because we had a sense of humor. There’s no doubt you can lay it on too thick, and we probably won’t ever start our drip campaigns with such stark humor. But when you have emailed, called, and sent smoke signals with no response, there’s probably no harm done. Humor can be a great way to connect with customers, but it really depends on your company’s brand and personality. For example, the social media automation app, Edgar, uses humor prolifically—they talk about Edgar as if “he” were actually a small octopus managing your social media accounts with his tentacles. That’s their brand, and it works for them… but you probably wouldn’t feel at ease getting messages like that from your accountant. Our suggestion? Give it a shot, but go light at first so you can gauge the response. Send it to small segments before blasting a belly laugh to your entire email list. We think the last-ditch segment is a great place to start—after all, what do you have to lose there? To help you out, here are 10 hilarious marketing videos to get your funny bone moving. We started sending our two humorous last-ditch email campaigns almost a year ago and decided to keep them in regular rotation. For the most part, they worked great … until, tragically, a young boy was killed by an alligator at a family resort in Florida. It was a shocking and devastating national incident. As you may have already noticed, our once-preposterous alligator email was suddenly in incredibly poor and offensive taste. Unfortunately, we had automated the email months before, and a few were automatically sent in the days after the accident occurred. The responses we got then were not the type any business wants to receive, and we were obviously mortified. Our team worked late into the night stopping, editing, and going over each email campaign, removing the scheduled emails, and apologizing. When we’d written the email, the questions were intended to be ridiculous. Who would have ever thought that it could become something offensive? But it did, and our company looked tasteless and insensitive. After the apologies were made, we learned a big lesson from our mistake: You have to be careful with automated emails, especially “humorous” ones, which tend to have a higher-than-average potential to offend your audience. Continuously review and refine them, know what emails are being sent out, and pro-actively respond if there is a chance a specific email might become problematic. Our final tip is inspired by the A/B test we ran was for subject lines. You’ve probably heard epic email tales where a marketer changed a single word and received a 1,000,000% increase in conversions. We certainly had, so we decided to see what words performed better in our subject lines. Perhaps surprisingly, “Voicemail” beat “My voicemail” on both opens and replies, although some of our team expected the more personal version to succeed. As stated in Tip #1, you should test everything you can. Only a few of our words had a significant impact, but we were glad to find which ones made a difference. As you can see, we got a lot of good data from these four drip email campaigns. Though we stand behind our testing and conclusions, we strongly encourage you to not just take our word for these results. 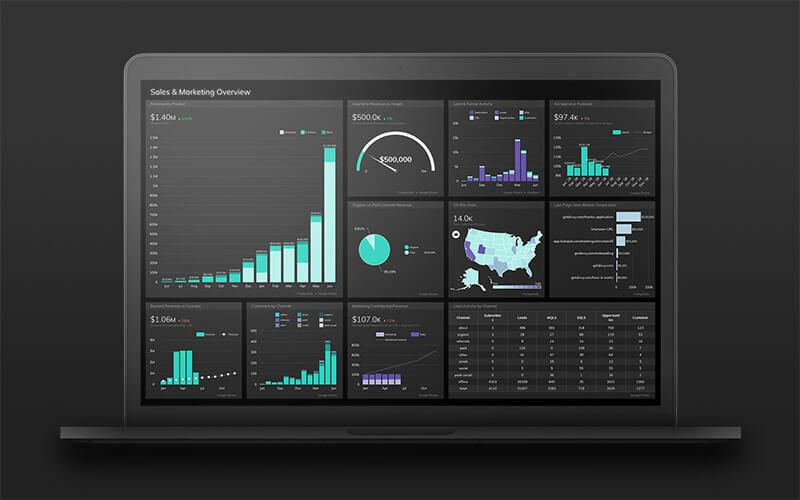 Create a campaign, build upon what we’ve done, and learn from your own data. There is no doubt you will uncover some great gems that will help you in your future marketing efforts.